Do-it-yourself moving is a very cost-effective way to move. Choosing a good rental company can be challenging. Your top 3 companies in the country are Uhaul, Penske, & Budget. Each company has pros and cons to consider. 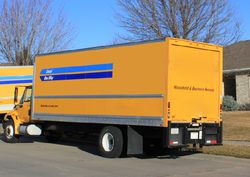 In order to get the right truck rental for the right price, you should compare moving truck companies before settling on a particular brand. Where To Find Truck Rental Quotes. The fastest and easiest way to get a quote is to look on the company’s website. You can call or fill out a quote calculator on the company's home page. Make sure you are as accurate as possible in selecting the right size of truck and additional equipment. For example, you may want to include a trailer to handle your vehicle transportation. Comparing Quotes. To narrow the field, there are a few things that you should look at when comparing quotes. Start by reviewing the final cost and eliminate the ones that exceed your budget. Next, go through the remaining companies and separate them into two groups – ones that offer the services you need and ones that don’t. In some cases, truck rental companies will quote you the bare minimum price for their bare minimum services, so make sure that you add in all assessorial charges. Most rental companies will allot you a certain number of miles for your move. If you exceed that number, you will be responsible for added charges. Therefore, compare the quotes to see who gives you the most leeway in terms of mileage, so you can ensure your costs remain under budget. Check out your options for insurance before accepting a quote as an accurate representation of the total cost. Review The Contract. Rental companies usually have chargeable items and/or penalties that the renter often discovers after they return the truck. These penalties usually include items like cleaning fees and fuel replacement. Be smart about how you handle your truck, and return it clean and filled up. To ensure you pick the best truck rental quote, find out what these “hidden” chargeable items include, so you can be sure the amount quoted is the amount you’re going to pay. Take Your Time And Dig Deep. When comparing truck rental quotes, it pays to slow down and read the fine print. You might have to dig deep to discover the costs of insurance coverage, extra fees, penalties and fines, but by doing so, you will have a better idea of how a particular moving truck’s rental agreement will fit into your budget.